It was a great occasion, and was great to see so many martial artists in one place at the recent Kapap Ireland self-defence training seminar hosted by a true gentleman Malcolm Ladley. Kapap Ireland is run by Malcolm in his hometown of Dundalk. The town’s name, which was historically written as Dún Dealgan, incidentally has associations with the mythical warrior Cú Chulainn. 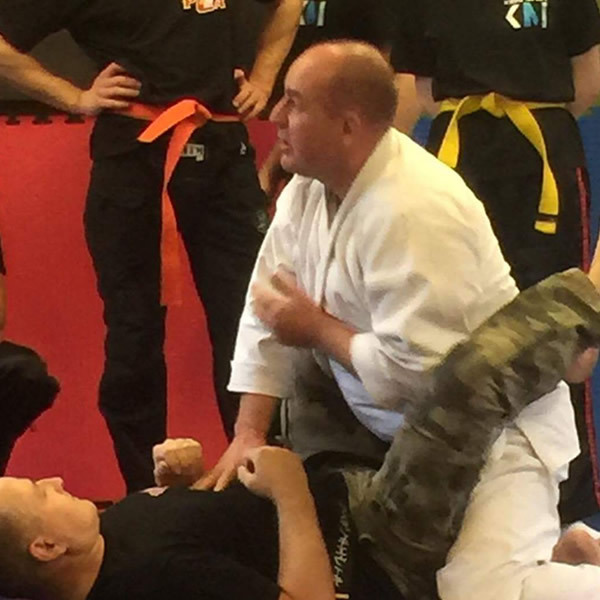 So it was fitting that we held it in Malcolm hometown, should those interested in Kapap should you ever get a chance to attend one of Malcolm’s Kapap self-defence training classes, or just to meet him, take the chance. Malcolm is a great teacher, and a genuine all-around good guy. It was an honour to see Malcolm’s hard work, coming to fruition. There was a great mix of students and martial artists at Kapap Ireland and Malcolm should be proud of his achievement. It was a pleasure to see and meet new faces who were eager to learn. The Kapap Ireland seminar was well attended and all were great craic, and all there to learn. No ego’s, even though there was a mixture of different disciplines, sizes, strengths and skills. It was humbling to hear about the feedback received. All who attended liked the simple approach to building up of simple, yet effective principles and techniques for defences for the most popular types of attack. A big thank you to Malcolm at Kapap Ireland, for hosting the Kapap seminar, to all who attended the Kapap self-defence training, you all made it a great day.